Harsh Realm is an American science fiction television series about humans trapped inside a virtual reality simulation. It was developed by Chris Carter, creator of The X-Files and Millennium, and began airing on the Fox Network on October 8, 1999. The series fared poorly in the ratings and was removed from the schedule after three of its nine episodes had aired. The remaining six episodes premiered on the FX Network. Repeats of the series began airing Fall 2007 on CBC Country Canada. Christopher Carl Carter is an American television and film producer, director and writer. Born in Bellflower, California, Carter graduated with a degree in journalism from California State University, Long Beach before spending thirteen years working for Surfing Magazine. After beginning his television career working on television films for Walt Disney Studios, Carter rose to fame in the early 1990s after creating the science fiction-supernatural television series The X-Files for the Fox network. The X-Files earned high viewership ratings, and led to Carter's being able to negotiate the creation of future series. Hardcase is a comic book series written by James Hudnall for Malibu Comics’ Ultraverse imprint, which lasted 26 issues. The series was about Tom Hawke, who became one of the first publicly known Ultras. Point Loma High School is a public high school in the San Diego Unified School District in San Diego, California, United States. 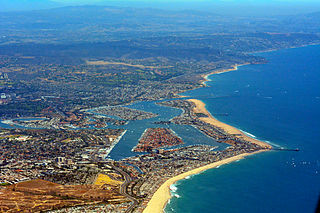 It is located in the Loma Portal neighborhood of Point Loma. The school serves the neighborhoods of Point Loma and Ocean Beach. Students who live in Mission Hills may choose to attend Point Loma High School as their neighborhood school. Point Loma is accredited by the Western Association of Schools and Colleges (WASC). In the fall of 2013, Hudnall released his first novel, The Age of Heroes: Hell's Reward, which is part of a planned series. [ citation needed ] A second series of novels, the Secret Team, is slated to debut in 2015. ↑ Portal Oficial do, Troféu HQ Mix (2017-08-03). "3.º Troféu HQ Mix". Wikipédia, a enciclopédia livre (in Portuguese). ↑ "I Won an Ink Pot Award". July 26, 2017. 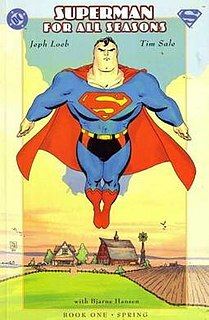 Superman for All Seasons was a 4-issue comic book limited series written by Jeph Loeb with art by Tim Sale, and was originally published by DC Comics in 1998. This was made hot off the heels from their previous success, Batman: The Long Halloween, and as that Batman story dealt with holidays as the theme, this story's theme dealt with seasons. The artwork contains many influences from that of Norman Rockwell. The story also parallels the events from Superman's then-origin story John Byrne's The Man of Steel, though it can be read on its own. 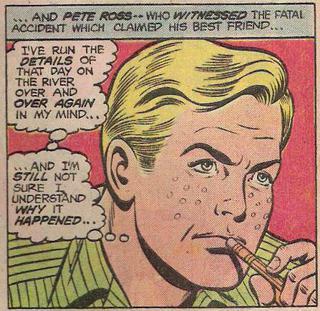 Peter Joseph Ross is a fictional character appearing in American comic books published by DC Comics. Lena Luthor is a fictional comic book character in DC Comics. She commonly appears as Lex Luthor's sister, but has also been depicted as his daughter. Batton Lash was an American comics creator who came to prominence as part of the 1990s self-publishing boom. He is best known for the series Wolff and Byrd, Counselors of the Macabre, a comedic series about law partners specializing in cases dealing with archetypes from the horror genre, which ran as a strip in The National Law Journal, and as a stand-alone series of comic books and graphic novels. He received several awards for his work, including an Inkpot Award, an Independent Book Publishers Association's Benjamin Franklin Award, an Eisner Award, and nominations for two Harvey Awards. Lex Luthor is a fictional supervillain appearing in American comic books published by DC Comics. As Superman's archenemy, he has been portrayed in almost every Superman media franchise and adaptation. Andrew Paquette is an artist and writer, known primarily for his work as a CG artist in the feature film and video game industry. Born in 1965 in St. Paul, Minnesota, he has lived in several states within the US, primarily New York, Maine, California, Minnesota, and Arizona. Currently he lives in the Netherlands, where he is an art teacher at a game-development school. Lee Bermejo is an American comics artist whose published work includes interior illustrations and cover art. He is best known for his collaborations with writer Brian Azzarello including Lex Luthor: Man of Steel, the Joker graphic novel, and Before Watchmen: Rorschach. DC Universe Online: Legends is a comic book limited series published by DC Comics. It debuted on February 2, 2011, and is an expansion of the story of the DC Universe Online MMORPG video game. The series was written by the game's story co-writer Marv Wolfman and Tony Bedard with Tom Taylor penning issues 16 and 17. Originally announced as a 52-issue yearlong weekly series, it was instead solicited as a biweekly series slated to have 26 issues. Although solicitations for DC Universe Online: Legends, along with many other comics, were dropped from the DC Comics website and Diamond/Alliance pre-order catalogs beginning September 2011 as part of DC's new continuity reboot, the remaining issues returned to the publisher's lineup with the October 2011 solicitations. By August 2012, three paperback books were published collecting the series. Dennis Janke is an American comic book artist who was active in the industry from the mid-1980s to the mid-2000s, primarily as an inker. He is most well known for his work on the DC Comics character Superman, particularly his nine-year run as inker on Superman: The Man of Steel. The Death of Superman is a 2018 American animated direct-to-video superhero film produced by Warner Bros. Animation and DC Entertainment. It is based on the DC comic book storyline of the same name. The film, which chronicles the battle between Superman and Doomsday, is the 32nd installment in the DC Universe Animated Original Movies and the 11th film in the DC Animated Movie Universe. Released on July 24, 2018 the film received a limited theatrical release on January 13, 2019. A sequel, Reign of the Supermen, was released on January 15, 2019. Laudo Ferreira Jr. is a Brazilian comics artist. He began his career in 1983, illustrating for several publishers, as well as working with Advertising and the development of scenarios and costumes for theater. He won the Troféu HQ Mix in 1995, 2008, 2014, 2015 and 2016. He created the comic adaptations of José Mojica Marins's Coffin Joe movies and several other graphic novels, like Olimpo Tropical and Yeshuah.